TRAIN services on the 28-mile Conwy Valley line will remain suspended for several months after the line was substantially damaged by Storm Gareth on March 16. 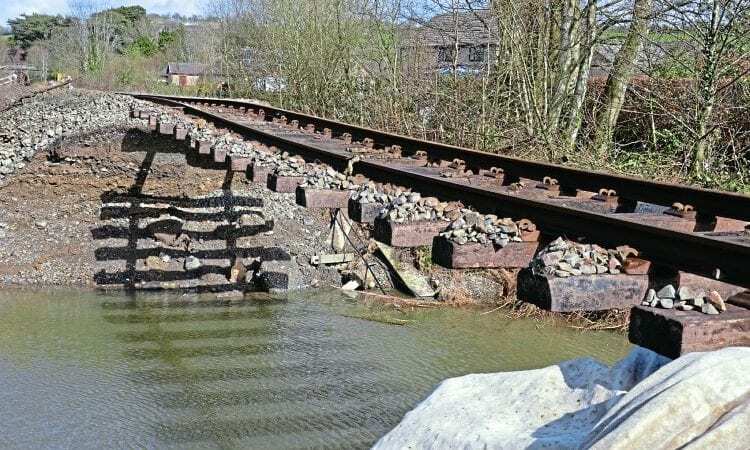 Detailed inspections of the branch line by Network Rail using a drone have revealed multiple embankment washouts, lineside equipment flooded, and track, embankments, bridges, level crossings and stations requiring significant repairs. Network Rail said specialist engineers are preparing a detailed programme of work to restore the line as quickly as possible, but the line could be closed for some time. 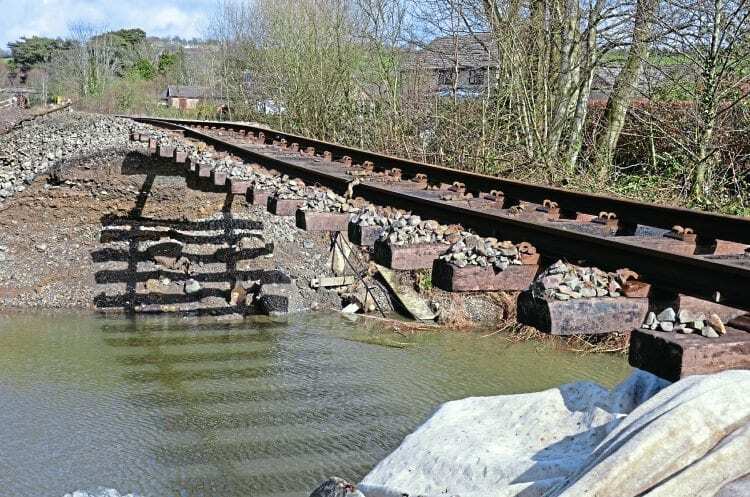 The National Eisteddfod is being held at Llanrwst for a week in August, the site for which has been flooded too, but the need for rail services will put pressure on engineers to repair the line in the next four months. The line has suffered washouts a number of times in recent years after storms and floods, the last time being in March 2017 after Storm Doris.